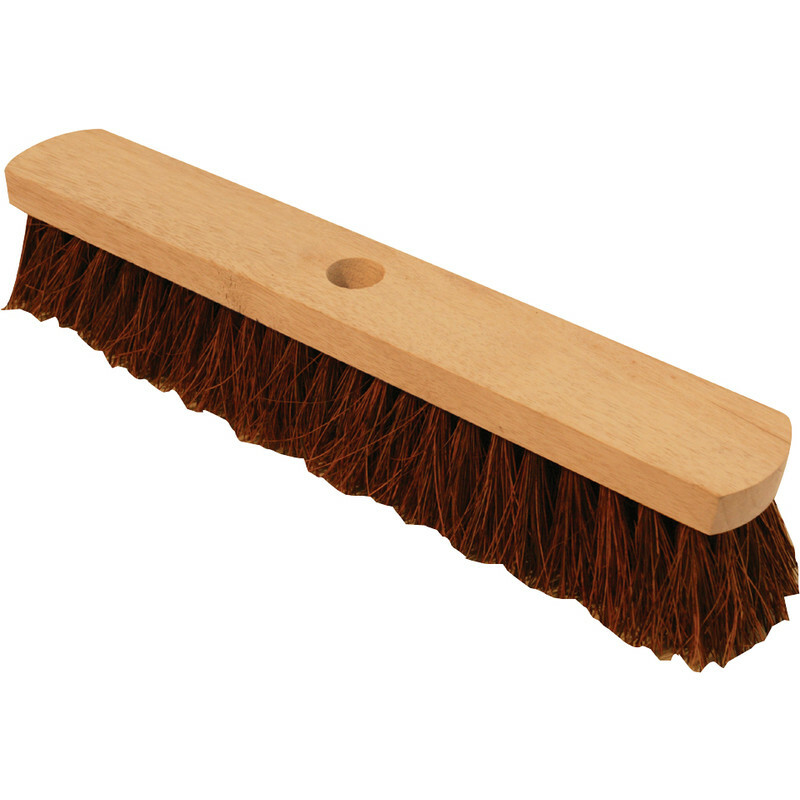 Platform Broom Head Stiff (Bassine) 18"
Use 1 1/8" diameter handle 30010 . Platform Broom Head Stiff (Bassine) 18" is rated 4.3 out of 5 by 10. Rated 3 out of 5 by Brunel from Big Broom! Well it's certainly BIG! Bit of an impulse purchase, it's good for sweeping wide areas but it's also unwieldy for sweeping onto spade etc., so it's not an all-rounder. Rated 5 out of 5 by Wacka from It does a good job I have to admit the first one i received split rather easy when i put the handle on.I think the whole was a little too tight and the wood isnt the hardest. Toolstation are brilliant at sorting any problem like this and sent another out with no quibble at all. Best to file the hole slightly if tight. Rated 5 out of 5 by Anonymous from Trigger would have loved this broom. Had my broom 25yrs 5 heads 2 handles. Rated 5 out of 5 by Lyndonhx from Great broom Nice and wide. Swept up in half the time and charged for double the time. Winner Winner. Chicken dinner. Thanks Tool station. The handle snapped though after 2 days. I should really return it. Rated 1 out of 5 by mike the bike from very poor quality The broom broke in half when i put the handle in,i would have returned it but it was so cheap i could not be bothered,buy cheap you get cheap. Rated 4 out of 5 by Captain col from Good product Does the job perfectly. Good value. Rated 5 out of 5 by Old Neil from Good value for money Great wide brush, very useful. No problems so far.